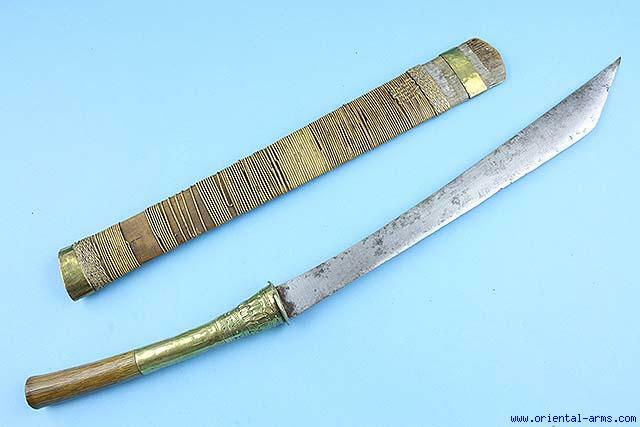 We offer this short sword Dah probably from a Lao origin mid 20C. More than 16 1/2 inches blade, edge widening and abruptly rising toward the tip. 9 inches long wood handle with chased brass mounts. Original wood scabbard with rattan binding and brass mounts. Very good condition.